This book provides a vital guide for students to key study skills that are instrumental in success at university, covering time management, academic reading and note-taking, academic integrity, preparation of written assignments, teamwork and presentation. With each chapter consisting of sub-sections that are titled with a single piece of fundamental advice, this is the perfect ‘hit the ground running’ resource for students embarking on their undergraduate studies. 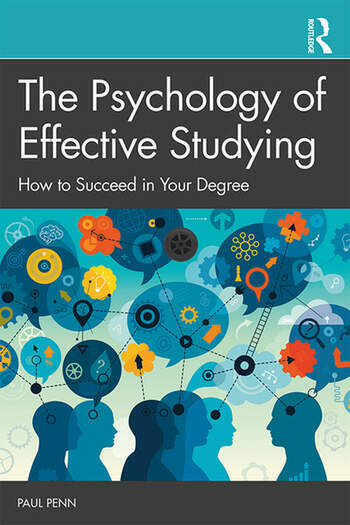 The book uses evidence from psychology to account for the basic errors that students make when studying, illuminating how they can be addressed simply and effectively. Creating an ‘insider’s guide’ to the core requisite skills of studying at degree level, and using a combination of research and practical examples, the author conveys where students often go fundamentally wrong in their studying practices and provides clear and concise advice on how they can improve. Written in a humorous and irreverent tone, and including illustrations and examples from popular culture, this is the ideal alternative and accessible study skills resource for students at undergraduate level, as well as any reader interested in how to learn more effectively. Dr. Paul Penn is a Senior Lecturer in Psychology at the University of East London, UK. He has lead several introduction to psychology and study skills modules and teaches a variety of topics at undergraduate and postgraduate level.He is a Chartered Psychologist and member of the British Psychological Society’s Division of Academic, Researchers and Teachers in Psychology. He is also a fellow of the Higher Education Academy. His research focuses on learning and teaching practices. He also offers consultancy on using psychological research to improve learning and presentation skills. Visit www.drpaulpenn.com for more information.